An Important Message from mürmur. 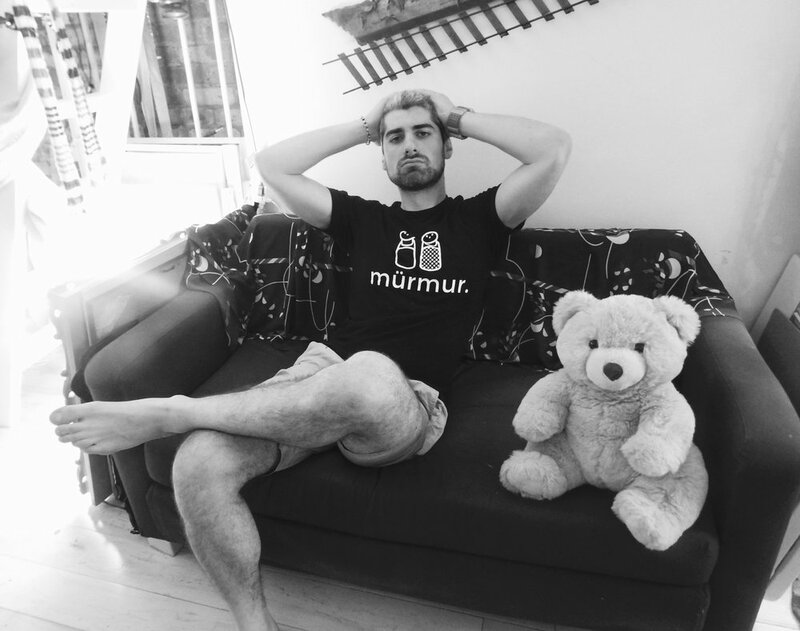 Hi, my name is Uluç - The host of mürmur. For the last 3 years, mürmur has allowed complete strangers of New York City a platform to openly talk about their lives in my humble East Village studio apartment. Through a simple street flyer, 250 of these unannounced guests have randomly appeared in my home, for completely spontaneous, one hour conversations. Honoring diversity and all walks of life, everyone from homeless, rock stars, and even a deaf person, have appeared on the show. But I’m most proud to say, that I have never denied anyone from entering my home to express their voice, because I viewed them as being unfit, or threatening. These engagements have proven to be a rich source of learning, understanding, courage, and hope for both myself, and my guests - It is both powerful, and therapeutic in a time when collective compassion seems to be at an all time low. Unfortunately, my landlord is putting an end to mürmur. I am now given an ultimatum. If I continue to stay, I'll be routinely inspected to ensure that I have no audio recording equipment of any kind in my apartment. Meaning, someone showing up regularly to dictate what I can, or can't have in my own home. If I don't comply with these conditions, I will be evicted and sued. I'm not here to fight my landlord and be defiant. If anything, he is an OK guy. However, mürmur now needs a new home, and I will have to move out in the next month. I started mürmur to pay homage to the strangers that saved my life. I want to keep the project alive, so I can keep being of service to others in need of a friend, or a shoulder to cry on. If you'd like to go one step above, please contribute to the link I placed in the comments section. My gratitude to you will be infinite. Through celebration and acceptance of our differences, in a non-judgmental, inclusive dialogue, mürmur acts as a vanguard against oppressive, and intolerant forces of the world. Mürmur is my air, and my purpose for living - the only thing in my entire life that I've been proud of.